DISCONTINUED. 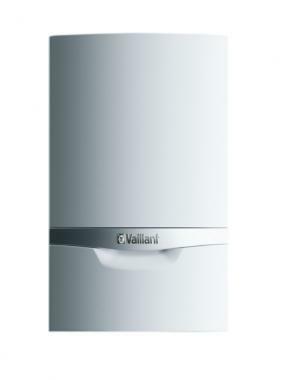 The EcoTEC Exclusive 32kW is a combi gas boiler by Vaillant. This boiler has been designed for the increasing demand for a condensing combi boiler providing both space heating and DHW (domestic hot water) for those larger homes. This boiler comes with the output of 32kW and is a SEDBUK band B rated model with an efficiency rating of 89.8%. The boiler stays in condensing mode for longer than most boilers, maintaining high efficiencies at lower outputs. It also has an electronically controlled low energy pump for reduced energy consumption and high efficiency pumps for reduced energy consumption and lower standby loss. It also comes with flame lift detection systems meaning it is a quite boiler. This boiler is compact with its height of 800mm, width of 480mm and weight of just 44kg - making it easy to install. It comes with a stainless steel heat exchanger, fully modulating low NOx burner and fan, and built in filling loops. The ecoTEC exclusive is an easy to use boiler with its plain text display, and push button display, making it clear and easy to use. It features frost protection to protect your boiler from those cold wintery days. It comes with a five year warranty.